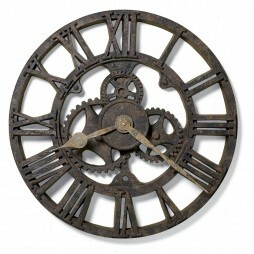 The quality is evident in this William Oak Wall clock with a solid oak case. It features a dark oak finish, floating dial, seconds sub dial and protective glass lens. Battery operated Quartz movement guarantees accurate time. Solid oak case, dark oak finish. Expressions of Time is an authorized Bulova dealer. 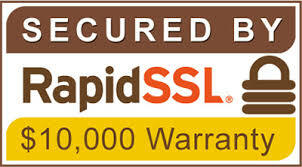 This means you’ll receive authentic Bulova clock, covered by the one year manufacturer’s warranty. 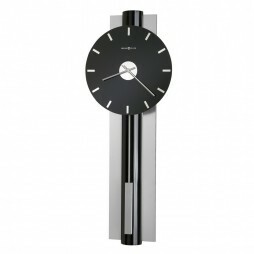 This modern wall clock is a symbol of elegance. What makes the design of clock unique is the half round center finished with black gloss lacquer along with brushed nickel on the sidebars. The black glass dial featuring polished chrome bar style marker and straight hands is a tremendous combination. Rectangular pendulum finished with nickel enhances the grace of this timepiece. The quartz, battery operated movement makes it easy to operate and maintain. 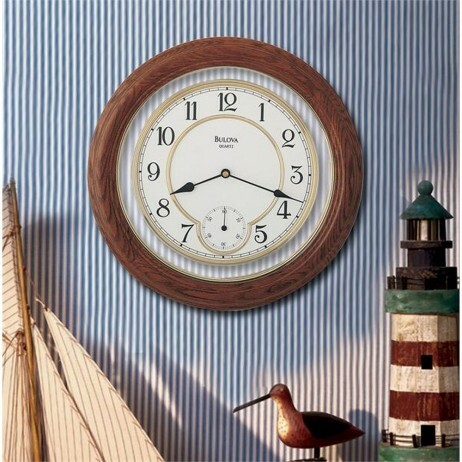 The 33-1/2 inch height makes this the perfect clock to add as the focal point of any wall. 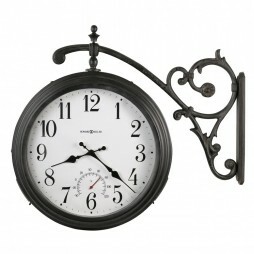 Get home the regal charm of the Howard Miller Luis Double Sided Indoor/Outdoor Wall Clock. 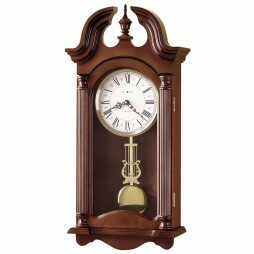 The splendid finish and design of this clock makes it even more classic and exemplary. 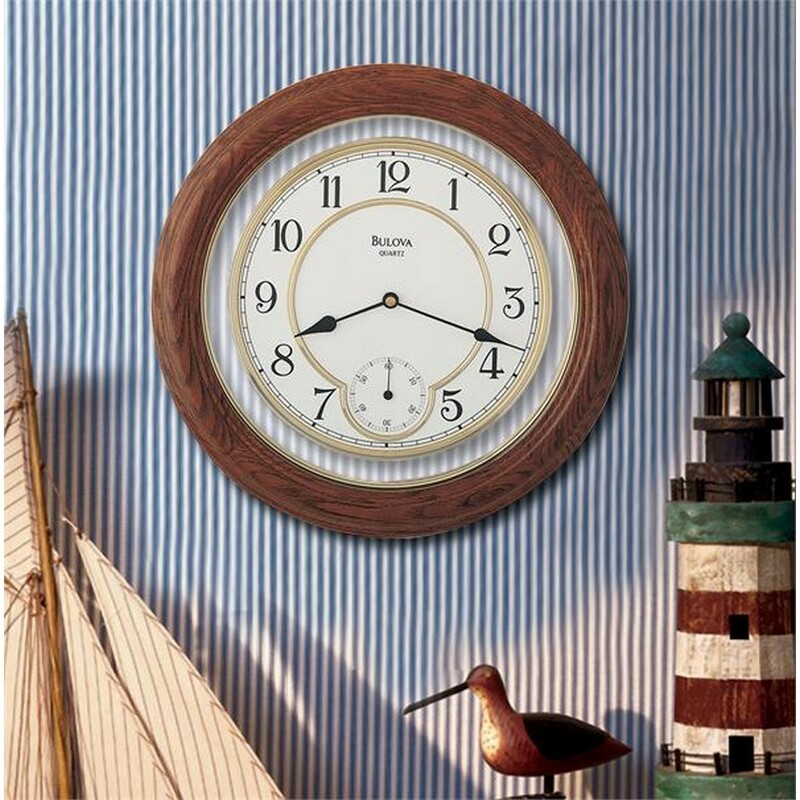 This attractive double – sided wall clock is designed for indoor or outdoor use. A thermometer located above the six positions indicates the temperature in §F. The off-white dial, with black hour and minute hands, swivels on a decorative wall bracket. Rotate it for optimal viewing from any angle. The antique iron – finished, powder – coated case is zinc plated and includes stainless steel screws to inhibit rusting.